The majority of students in the United States will need to consider some form of financial assistance when it comes time to plan for college. Scholarships and grants are ideal, as they offer money for college that never has to be repaid. Unfortunately, not every student will qualify for an award, and even those that do may be left with considerable unmet need. In order to completely finance their college education, most students will need to rely on education loans. For resident students in New Jersey, applying for grants, scholarships and loans has never been easier. The New Jersey Higher Education Student Assistance Authority (HESAA) provides resident students with the resources they need to plan for college, and to fund their post-secondary education. In addition to a wide range of state supported scholarships and grants, the HESAA also provides students with access to a number of affordable Federal and state sponsored college loans. Before applying for any financial aid for college, students in New Jersey must first fill out and submit their Free Application for Federal Student Aid. The FAFSA is used to determined a student’s eligibility for Federal and state sponsored scholarships and grants, as well as all Federal and state-based education loans. New Jersey residents planning for college should make the FAFSA a priority before applying for any type of financial aid, including their college loans. Federal student loans remain the most popular and successful of all financial aid programs in the country. Federal loans offer the lowest interest rates and the most student friendly repayment terms of any colleges loans on the market. 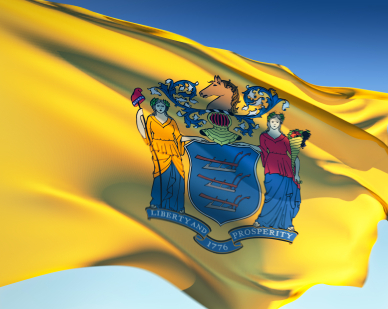 Students in the state of New Jersey may apply for any and all Federal education loans through the New Jersey Higher Education Student Assistance Authority. The HESAA can help match students to the most suitable Federal loan, and will guide them through the application process. New Jersey residents who are relying on student loans to help them pay for college should begin by applying for those Federal loans for which they are qualified. Federal student loans are the most affordable on the market, and should be the first stop on every students path to college funding. The New Jersey state legislature is well aware that even with Federal loans most college-bound students will still be left with a sizable amount of unmet need. In order to make college more accessible to its residents, New Jersey offers their own state-based low cost student loan. The New Jersey College Loan to Assist State Students, or NJCLASS, is a low cost, fixed interest rate, loan designed to act as a supplement to the Federal student loan program. The NJCLASS is available to all of New Jersey’s college-bound residents, and can be used to help defray education costs at any college or university in the country. The NJCLASS is also made available to out of state students enrolled in one of New Jersey’s state colleges or universities. The NJCLASS Classic Loan is available to undergraduate students. It offers a low fixed interest rate, flexible repayment plans, and up to a 20 year repayment option. The NJCLASS Graduate and Professional Student Loan is available to graduate and post-graduate students. The loan offers low interest rates and flexible repayment options. Students need not submit proof of income to qualify, and do not require a cosigner to receive the loan. The NJCLASS Consolidation Loan is available to student borrowers with more than $30,000 in outstanding NJCLASS loans. The consolidation loan can help borrowers significantly reduce their monthly payments so they can better manage their outstanding debt. All student loans carry some element of risk, and the HESAA helps students learn how to plan their financial futures, and manage their outstanding debt. The HESAA’s dedicated website offers tutorials and counseling for students applying for loans, so they will be better prepared to fulfill their obligations as a borrower. Resident students in the great state of New Jersey have access to a wide range of financial aid programs to help them pay for college. In addition to a wealth of scholarships and grants, New Jersey offers students one of the most forward thinking state-based loan programs in the country.